With our arsenal of sweet and savory pastries, fresh breads, and cakes – The Salty Tart has instantly left an indelible mark on the Twin Cities food scene. Our motto is “Cooking with Integrity”. It means seasonal, local and organic ingredients are used whenever possible. For almost a decade, we baked everything in a 400 square-foot bakery. From Scratch. Every day. Two of those three things haven’t changed. We still bake from scratch, every day, but we outgrew our 400 square-foot kitchen. August 2017 we moved from a 400 square-foot kitchen to a 4,000 square-foot kitchen. Every morning we bake and deliver fresh pastries for our customers to enjoy. Wake up with a pastry cream-filled brioche, savory caramelized onion and goat cheese tart or a crème fraiche-filled cake. Don’t forget to bring home a loaf of our house-made bread: baguettes, sourdough, and seeded wheat. Michelle Gayer is the most critically acclaimed pastry chef currently living in the Twin Cities and is recognized as one of the best in the country. In 2002 and 2010 she received James Beard “Outstanding Pastry Chef” nominations and in 2013 received a James Beard “Best Chef Midwest” nomination. In 2011 and 2012, Michelle was a featured Chef at South Beach Wine and Food Festival and in 2012 was Krewe in Chef Emeril Lagasse Foundation’s Carnivale du Vin. Also in 2012, Michelle was named “Best Pastry Chef” by the editors of Bon Appetit magazine and was featured on the Food Network’s “Best Thing I Ever Ate” program for the famous Coconut Macaroons. Gayer gained fame as the Executive Pastry Chef for Charlie Trotter’s and Trotter’s To Go in Chicago, where she also partnered with Trotter to write, “Charlie Trotter’s Desserts.” In 2004, she moved to the Twin Cities to become the executive pastry chef for the Franklin Street Bakery where her pastries were proclaimed “grand-slam spectacular” by Star Tribune restaurant critic, Rick Nelson. In late 2005, she left Franklin Street Bakery to join Le Cordon Bleu as an instructor and also became Executive Pastry Chef for Minneapolis four-star restaurants, La Belle Vie and Solera in 2007. 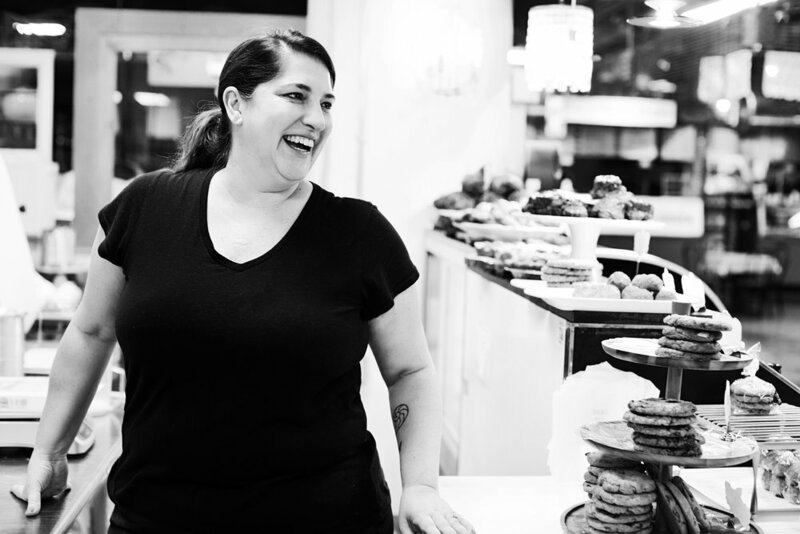 In 2008, Gayer fulfilled her dream by opening her own bakery-Salty Tart in South Minneapolis in the Midtown Global Market. Salty Tart features Gayer’s extraordinarily stylish to free-form rustic creations. Sweet to savory selections like coconut macaroons, golden rosemary corn cakes, pastry cream filled brioche and savory puff pastry all perfectly compliment the custom desserts and breads made fresh daily. Gayer features the best in seasonal fruits, flavors and baking creativity. In addition, each summer Michelle participates in the Minnesota State Fair introducing her famous “crack-a-roons” to thousands of people from all over the great state of Minnesota.